where is a dispersion coefficient (expressed in ), which takes into account longitudinal mixing in the pipe. Introduce the following dimensionless variables and parameters: , , , , (Péclet number), and (Damköhler number). Assume that we have measured the outlet concentration of species using an appropriate analyzer (e.g. a refractometer). Such data, represented by the red dots in the figure, will have some white noise. 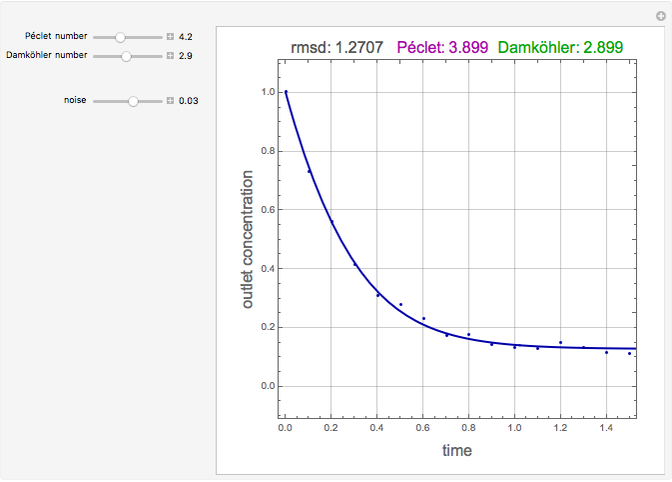 This Demonstration estimates the two characteristic parameters of the reactor—the Péclet and the Damköhler numbers—by correlating the experimental data to the dispersion model. 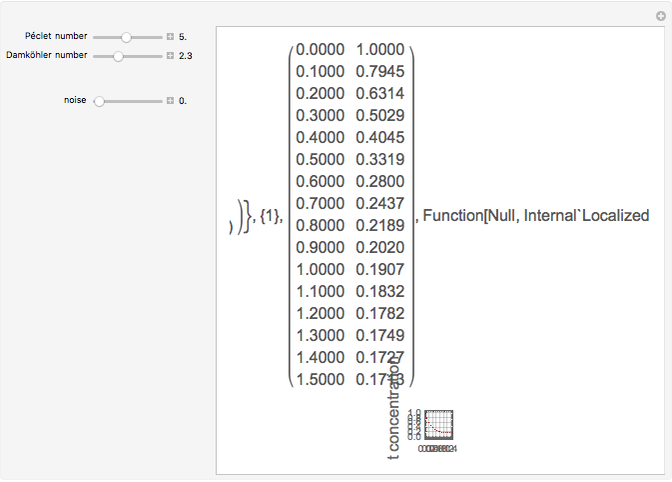 To do this, set values for and as well as the random noise level and let the Demonstration generate "experimental" data. The fitted data is shown by the blue curve. The values of the parameters thereby determined are shown in magenta and green. 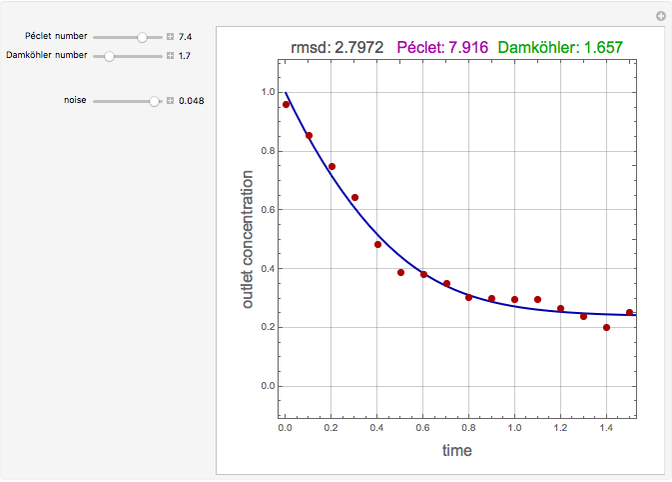 Finally, the root-mean-square deviation (or rmsd, given in ) is computed. This computed value serves as an indication of the goodness of fit. As expected, the higher the noise level, the larger the rmsd (e.g. compare rmsd values in snapshots 2 and 3). Housam Binous, Farrukh Shehzad, Mohammad Mozahar Hossain, Abdullah A. Shaikh, and Ahmed Bellagi "Packed Bed Reactor with Longitudinal Mixing"